How to store particle locations in a list? my question is how to store the locations of a particle or any changing data in a list so as to use the locations for effects like trails. What I intend to create are particle trails, the following steps come to mind: 1. Get the locations of a particle through a loop node(so that the subsequent steps can be applied to other particles). 2. Use the stored locations to make splines. 3. Make the splines only have a definite length over the period they are present, that means they can only be created from say the last 3 stored locations at any given time. This is the theory of how I plan to do it, in fact I have tried, but I could not find a way to store constantly changing values. Also I would like to know a way to store the location of the particle for each frame or any arbitrary number of frames so as to be able to control the smoothness of the splines. There is no intuitive way to do this in Animation Nodes. I proposed a system to the developer that should hopefully allow us to do this intuitively. But he is still studying it. In the meantime, I will tell you how to make such system manually. If you are still not sure how this work, you can think of it as follows. We are storing the data data in a place in memory called animation_nodes.test, we can later access this data simply by getting it from the place we stored it in, that is, animation_nodes.test. Enough about this, lets talk practicality. The structure we just used can be edited appropriately to suite your needs, and it nearly stays the same, get data, edit it, reassign it, repeat. Not the answer you're looking for? Browse other questions tagged animation nodes particles animation-nodes or ask your own question. How to calculate a difference between current and previous location vectors using animation nodes? 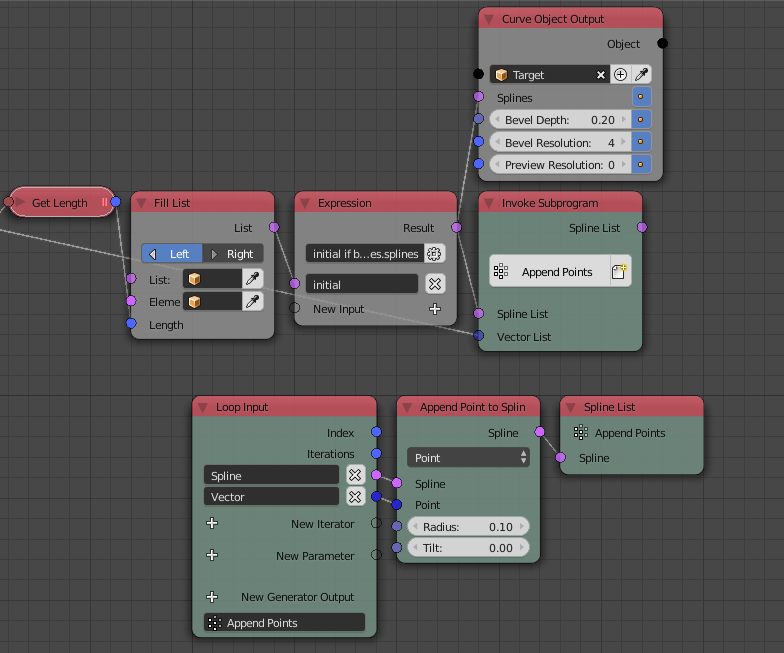 Animation Nodes - How do I read the Particle Count with the Object Attribute Output node? How to make an animation node particle wiggle? Animation Nodes: How to create faces from a Particle System? 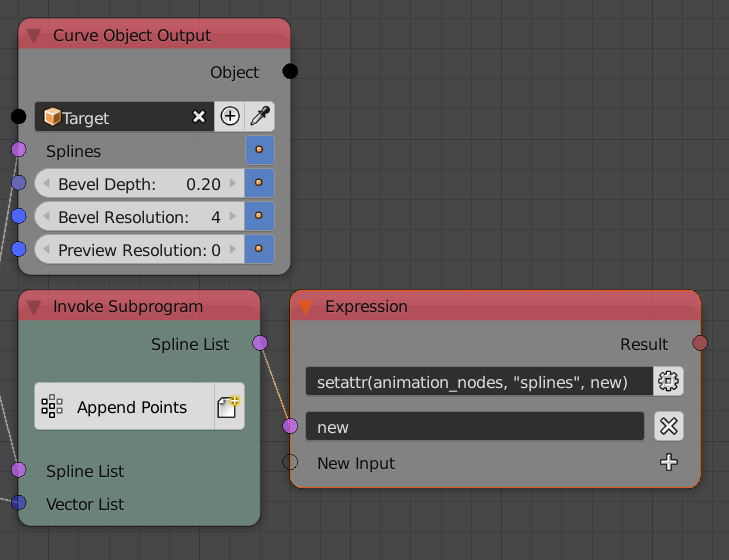 How to input a list in the parameter of the “Evaluate Spline” node in animation node?